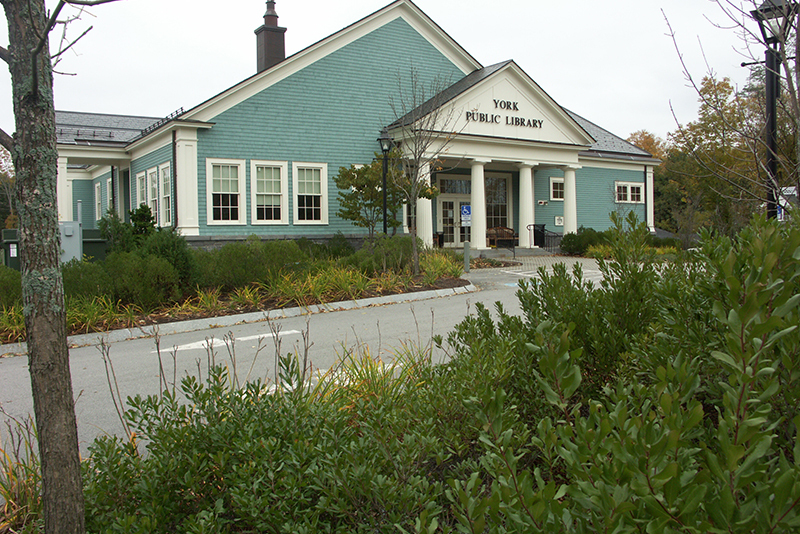 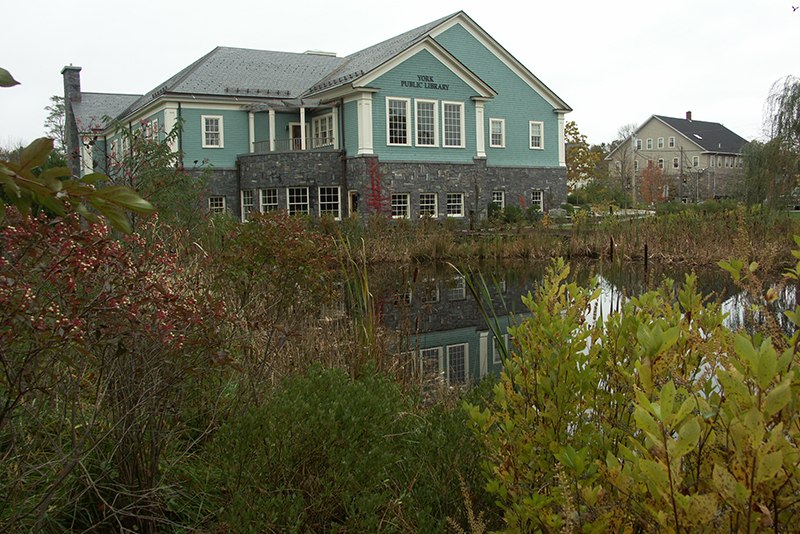 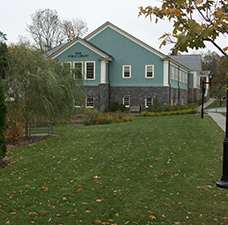 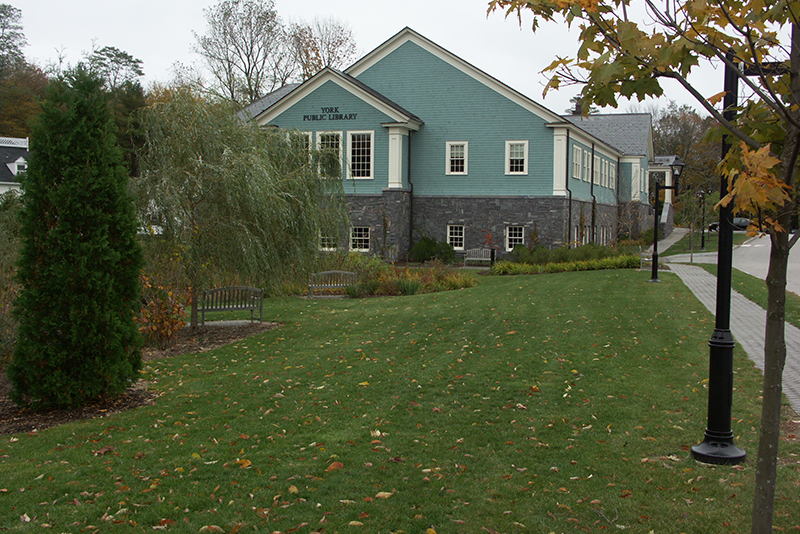 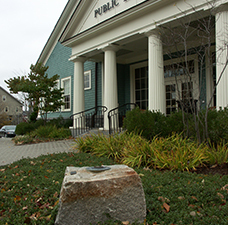 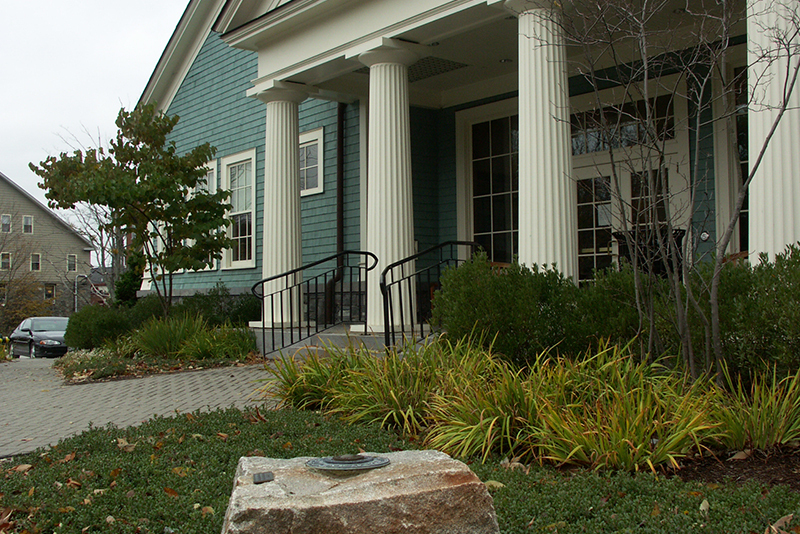 The design for the York Public Library worked to create physical linkages to the village center while providing an important visual connection to join the new building to the village. 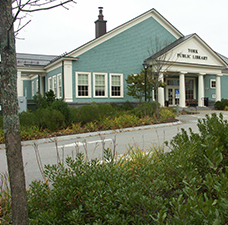 The strategic placement of the canopy and street trees accomplished the following: created new sightlines, framed the view to the building, reinforced pedestrian patterns and separated some neighbors with a living screen. 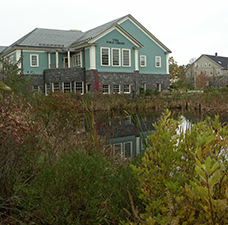 In addition, a detention marsh was created with wetland plantings to enhance the wildlife habitat.